The great success of the 2013-14 German series / movie Generation War about a group of young Germans caught up in World War 2 has some interesting resemblances to director Thomas Carter's 1993 movie Swing Kids. 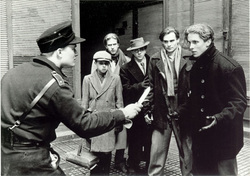 Unlike Generation War, the Disney-produced Swing Kids met with an indifferent boxoffice and critical reception, although it has now gained something of a cult reputation. 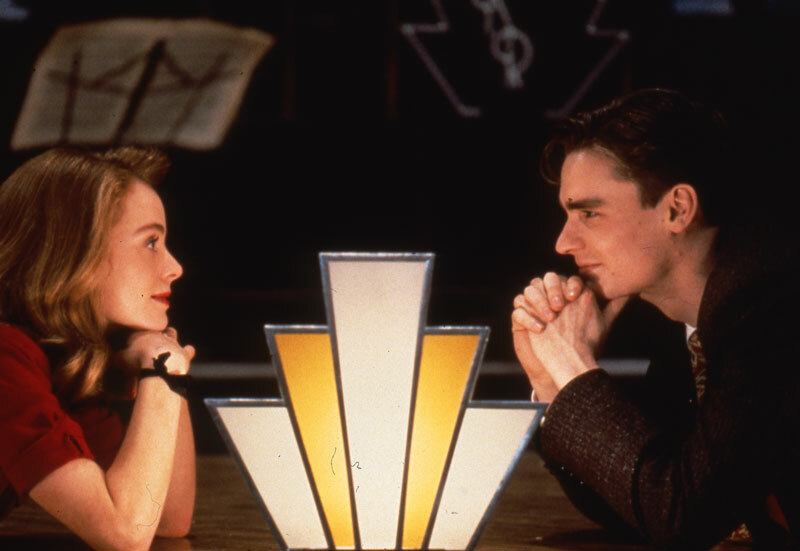 Swing Kids must be one of the strangest movies to emerge from Hollywood. It's a Disney movie about the Nazis. in which the god guys lose, lose, lose. It aimed to appeal to the teenagers of the early 190s while featuring the music and dance styles of 1930s that were now scorned as irredemiably old-fashioned by the teenagers of the 1980s. 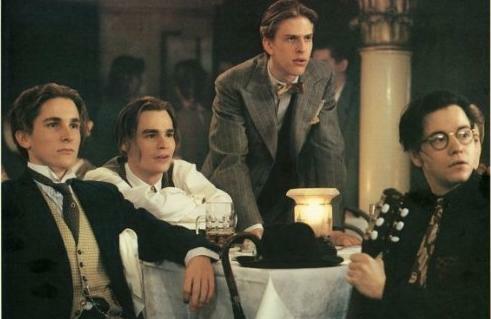 The plot involves a trio of teenage boys in 1939 Hamburg united by their love of swing music and its slang and fashion fads. 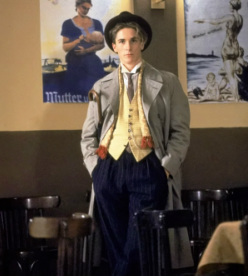 Peter (Robert Sean Leonard) is a university student; his father has died in the work camp to which he was senteced for defending Jewish colleague. His friend Thomas is initially anti-authoritarian but once he is made to join the Hitler Youth he increasingly adopts Nazi attitudes. The third friend, Arvid, is physically handicapped but fiercely dedicated to his music and an outspoken foe of the Nazis. His disbailitymakes him a potential target for 'cleansing' under the Reich's eugenics programme. By the end of the film all the conventional easy expectations about how the plot will develop have been disconcertingly erased. The attractive young couple who fall in love - uh oh. The three boyhood friends who share a love of jazz and swing dancing: they'll remain good buddies despite the Nazis, won't they? Nope. The Hitler Youth enthusiast - surely he'll realise his mistakes and return to decency? Oh dear. A physically handicapped friend and swing fanatic - guess what's going to happen to him when he comes up against the Nazis' 'Aryan fitness' policy. A pretty widow and her family united in a courageous stand against Nazis and the Gestapo; they'll win through, right? Wrong. 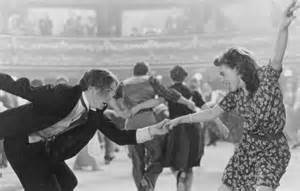 Don't worry: swing music and dance will overcome even the the Nazi terror? Think again. Family loyalty will triumph over obedience to the Hitler Youth? Wrong. In short, Swing Kids, despite its exuberant scenes of music and dance, and a likeable young cast, is ultimately a bleak movie whose final mood of evil overpowering and crushing the good and the decent resembles that of Chinatown. "Swing Kids is a bad idea whose time has not come. It's "Cabaret" as Col. Klink might have envisioned it, a nutty anti-Nazi a go-go for teenagers, set to American music." Both these reviews are so wide of the mark tas to make it seem that their authors read the studio's press synopsis and didn't bother to see Swing Kids for themselves. 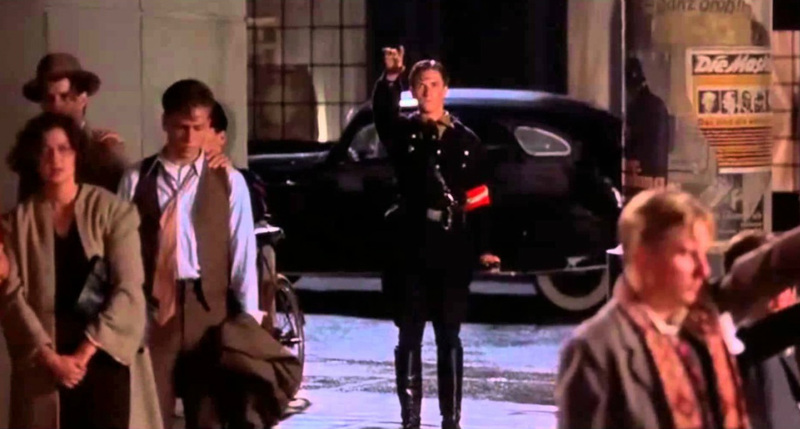 Part of the problem is that most reviewers assumed that jazz and swing were banned under the Nazis and so the movie's premise was was dishonet and misleading. But in fact those particular music styles did exist in the Third reich despite official disapproval. Jazz 'orchestras' performed openly in big city hotels and clubs; swing was played on German radio beamed at occupied countries and listened to by millions of Germans .Goebbels encouraged ther formation of a jazz group that issued records. Some German swing kids sported a distinctive fashion style - for boys, British-style wing collar, waistcoat, blazers, bowler or homburg hat while girls copied the colourful, patterned, frocks of American swing enthusiasts. The swing kids seem to have been drawn from economically and educationally privileged groups. As the war progressed they came to be regarded as an increasingly annoying and unpatriotic irritant. In 1942 Heinrich Himmler grumbled that punishments such as forced labor and work camps were insufficient punishments for swing kids. He demanded "brutal" action, urging that they be sent to concentration camps. There they should "first be given thrashings and then put through the severest drills and set to work." their parents should also be investigated and also sent to concentraion camps if they were found to have "encouraged" their offspring in their lifestyle choices. 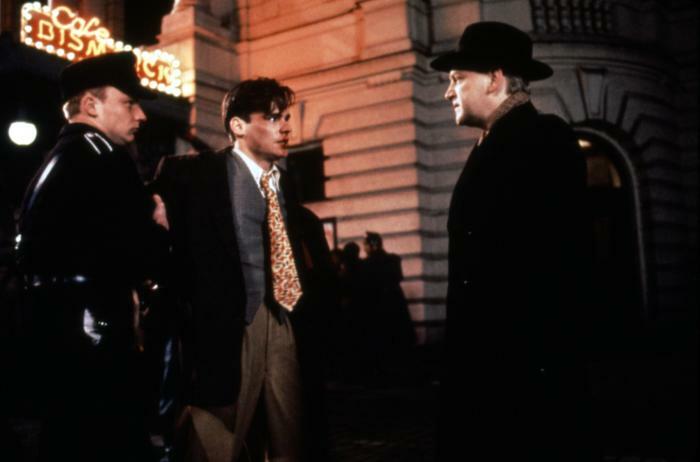 The uncompromisingly bleak ending of "Swing Kids" recalls that of "Chinatown" - the triumph of evil. And this is a Disney movie for teenagers!